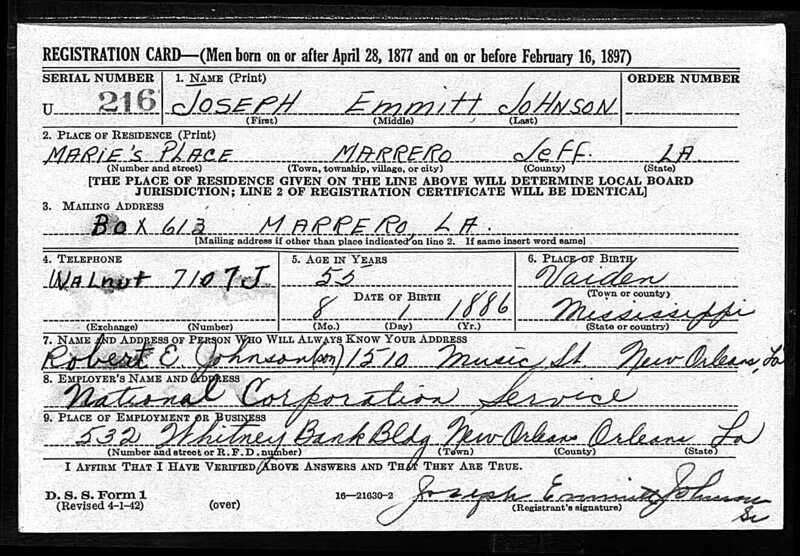 Joseph Emmitt Johnson, Sr. (a/k/a "Buck"), son of Samuel Parsons Johnson and Susan Eliza Beck, was born August 1, 1887 in Carroll County, MS. 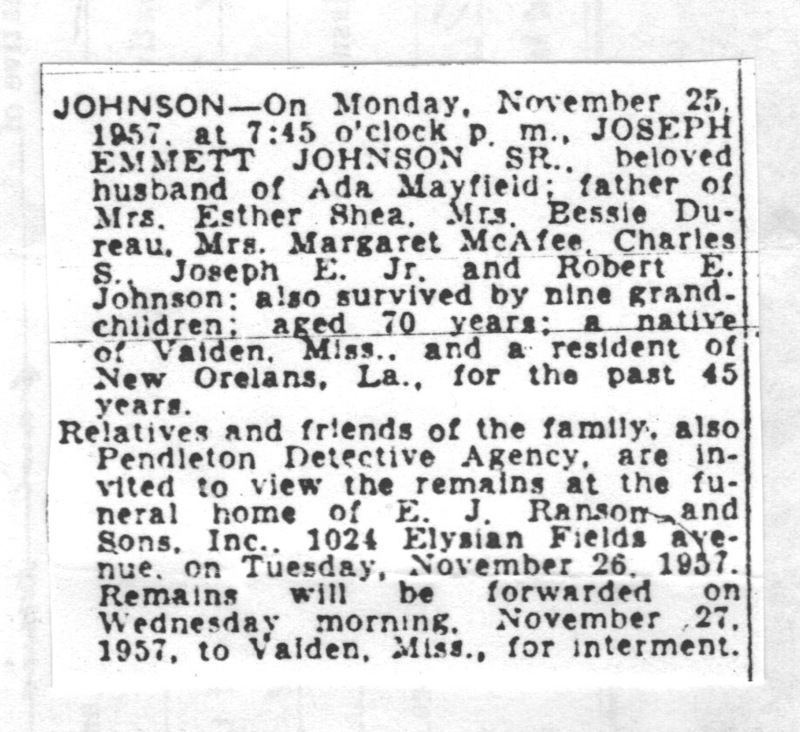 He died on November 25, 1957 (age 70) in New Orleans, LA. 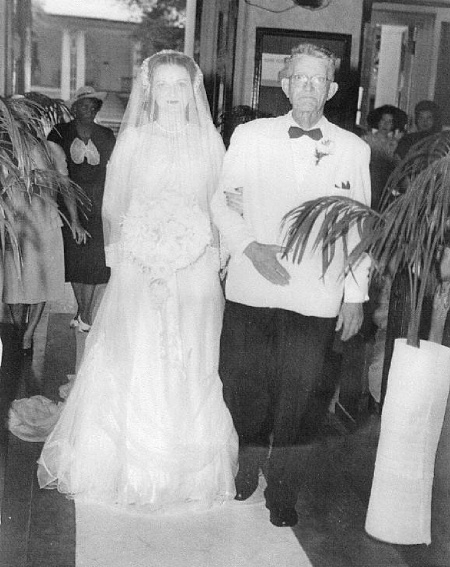 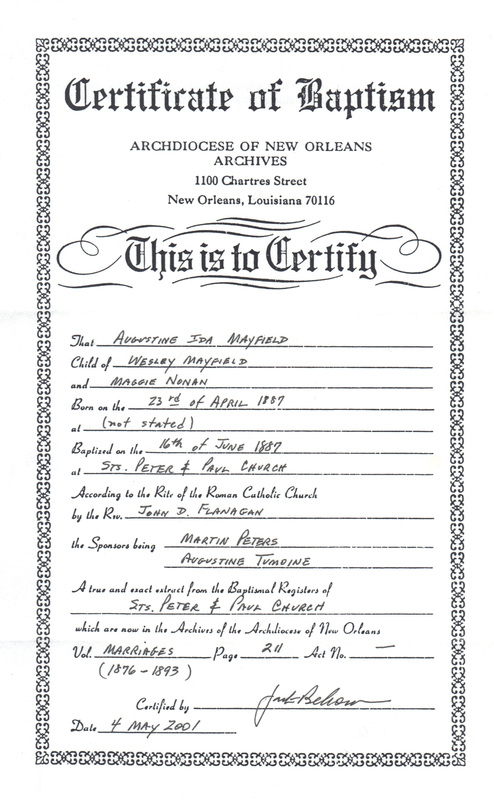 He married Ada Augustine Mayfield, daughter of Wesley Frank Mayfield and Margaret Nolan, on June 26, 1912 at Sts. 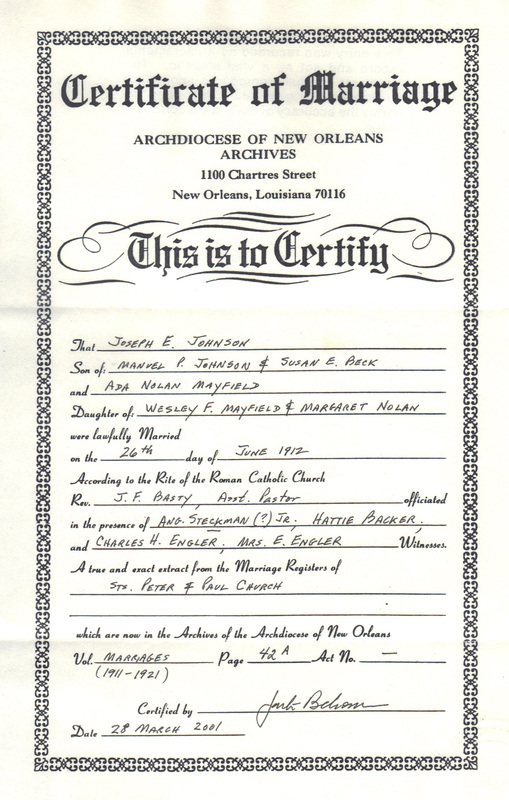 Peter and Paul Church in New Orleans. 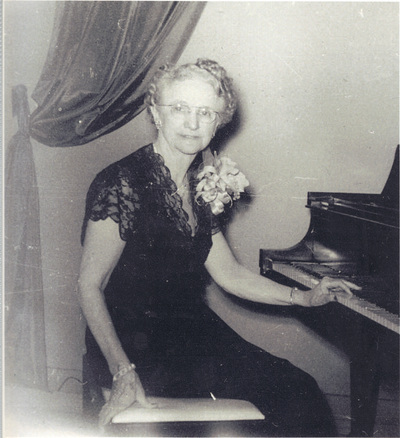 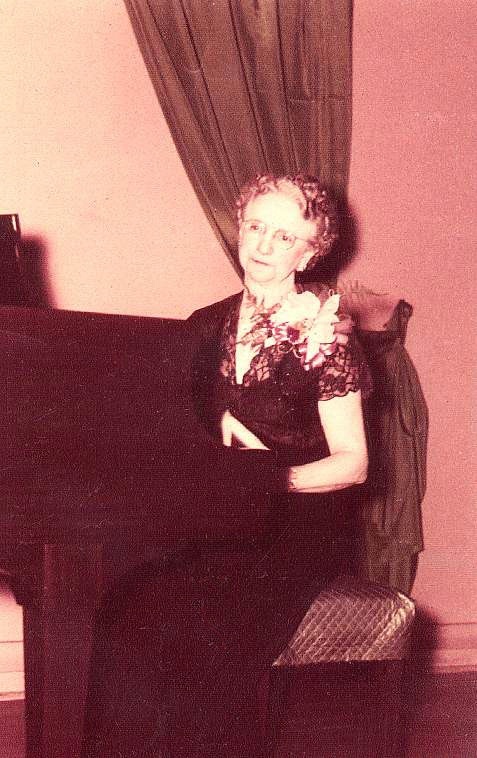 She was born April 23, 1887 in New Orleans and died on February 6, 1974 (age 86) in New Orleans. Joseph is buried in Old Salem Cemetery in Carroll County, MS. Ada is buried in St. Vincent de Paul Cemetery # 1 in New Orleans. 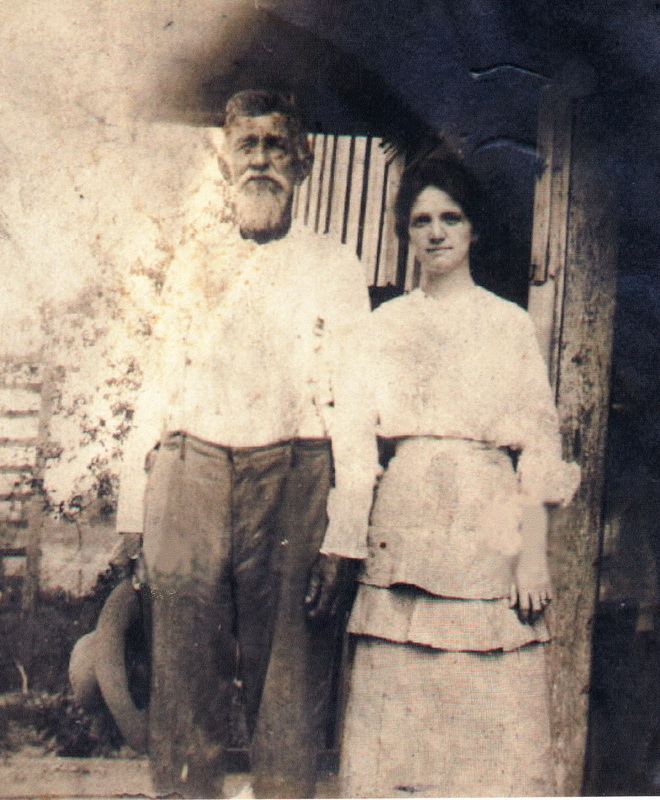 For additional information on the descendants of Joseph and Ada, click here. 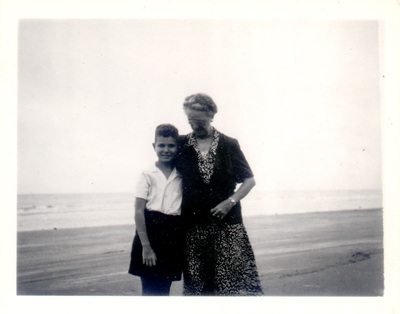 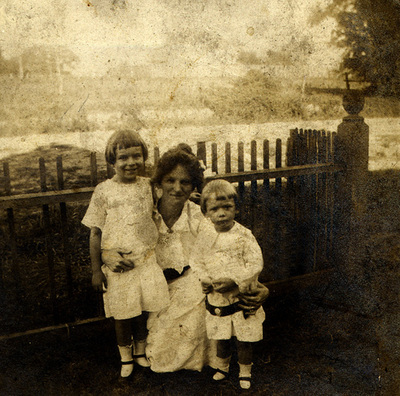 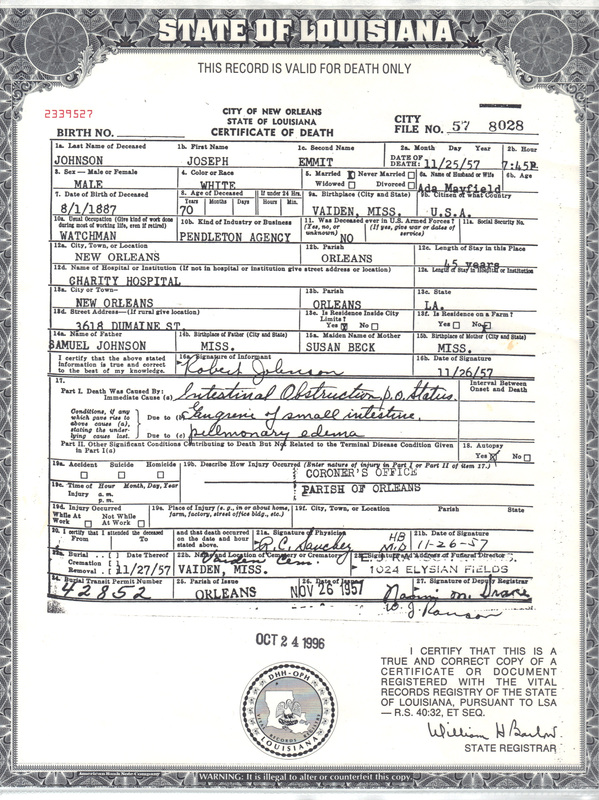 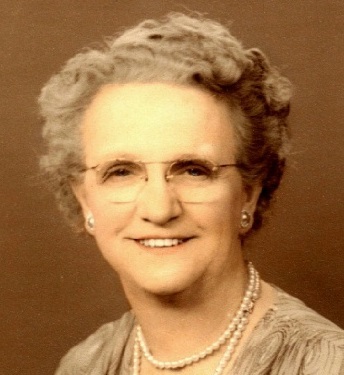 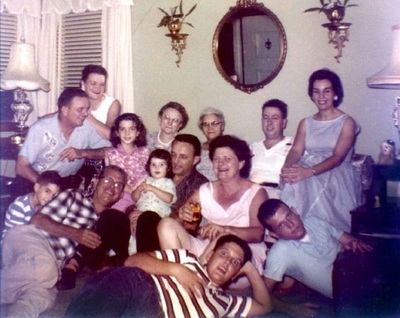 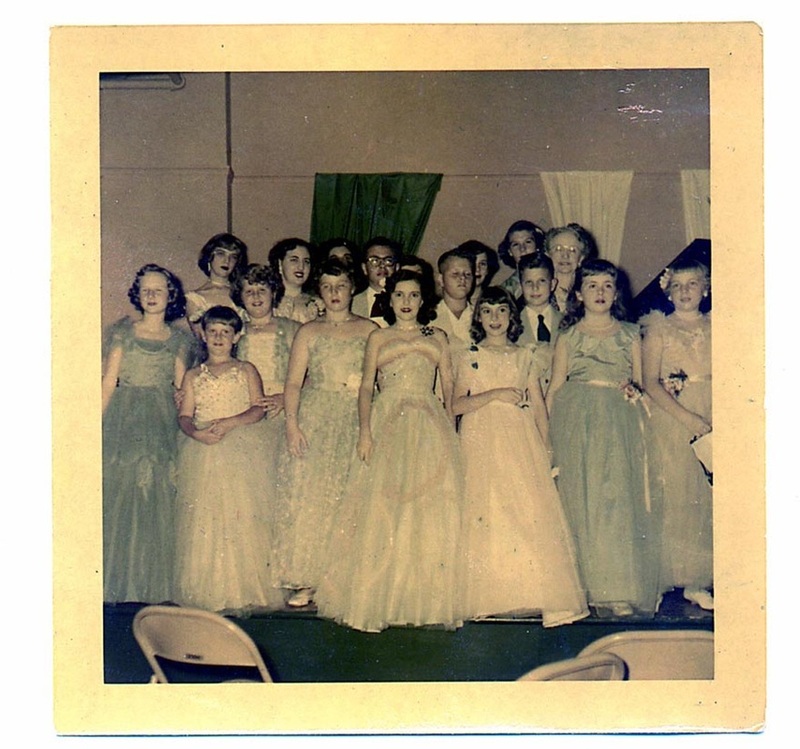 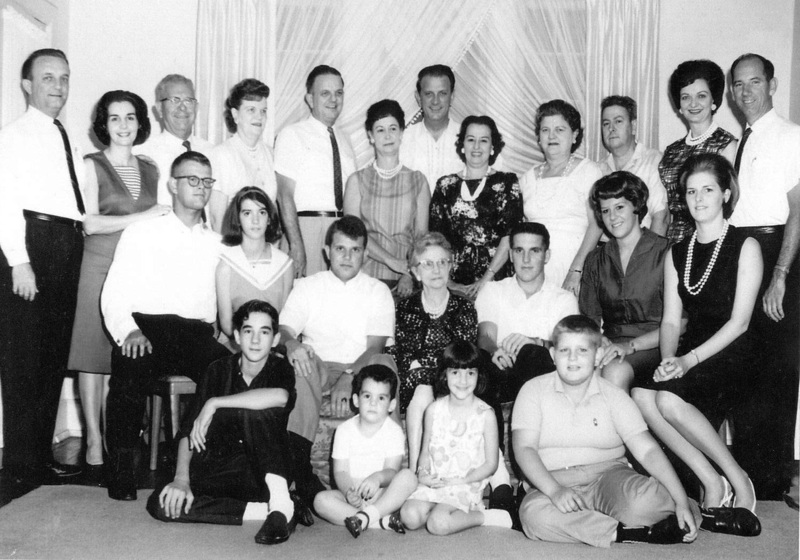 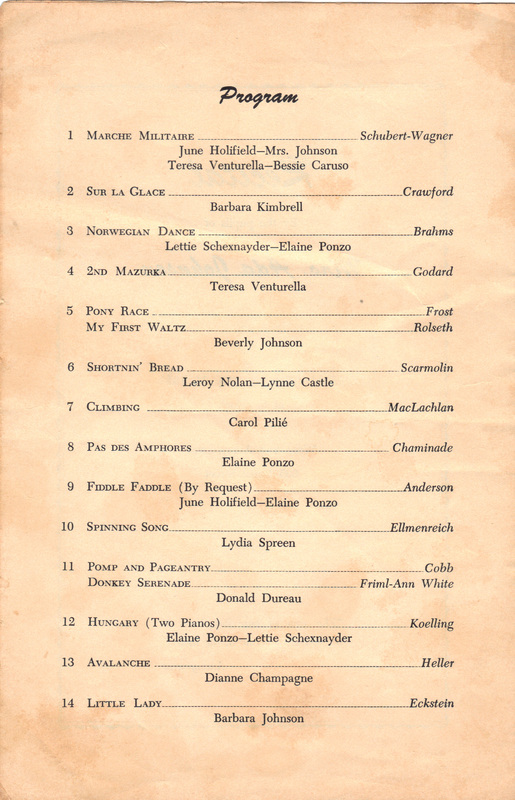 Family history states that while Ada was still a young girl, Wesley Mayfield left the family and thereafter, Ada assumed her mother's maiden name which is why in some instances she's listed as Ada Nolan. 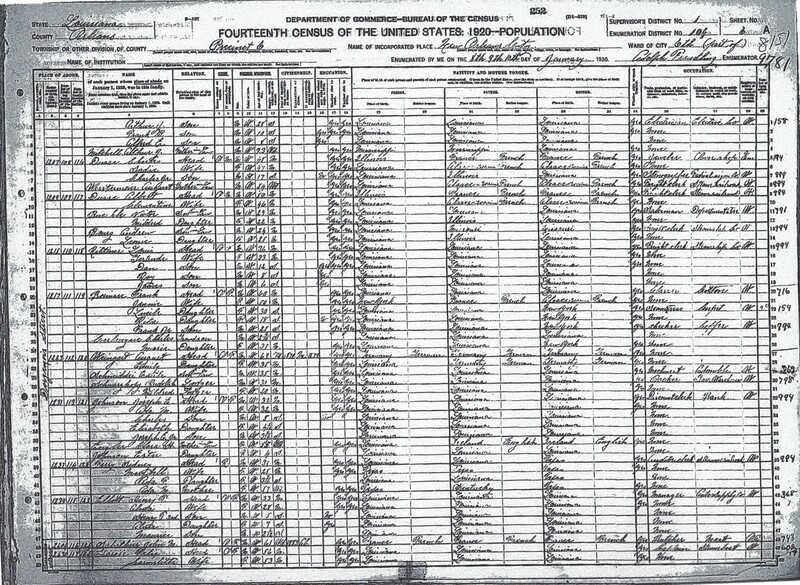 1900 Carroll County Census - Emit (sic) is 13 and living with his parents S.P. 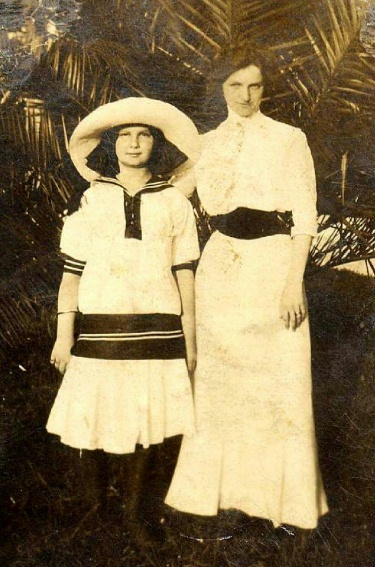 and Susan. 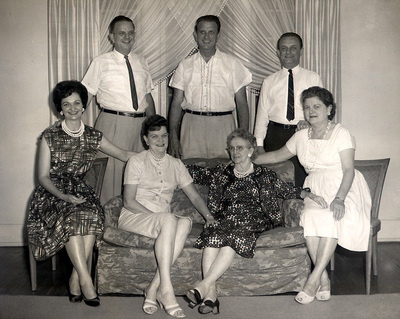 Also in the household are his siblings Tom, George, Henry, Mary, Esther, and Samuel. 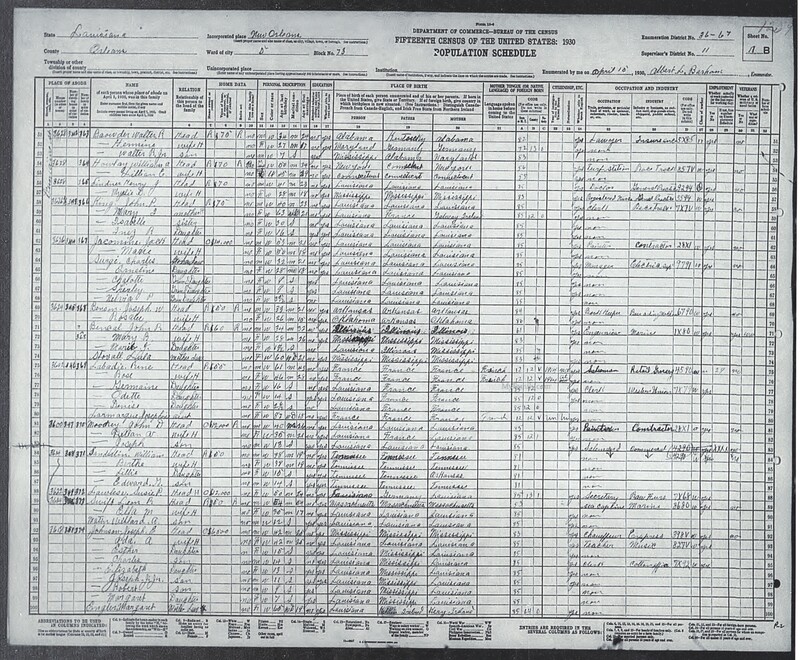 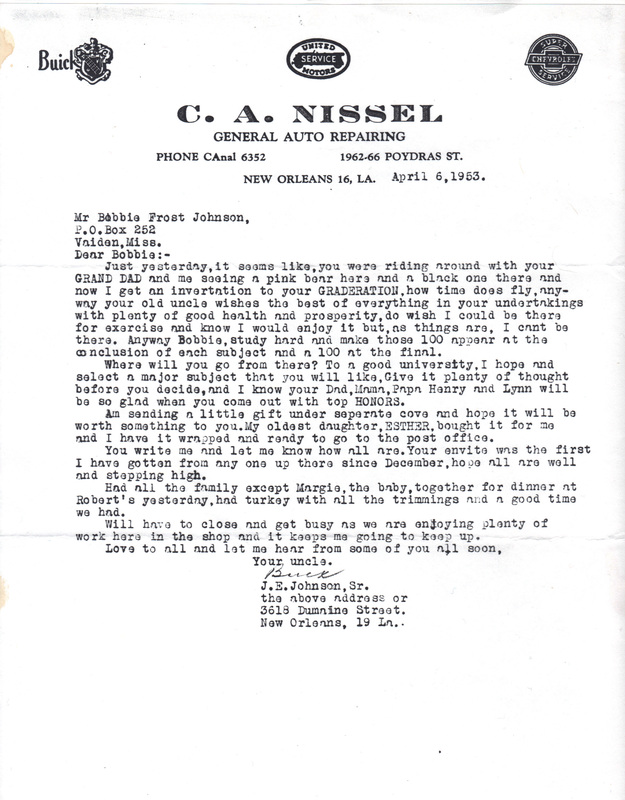 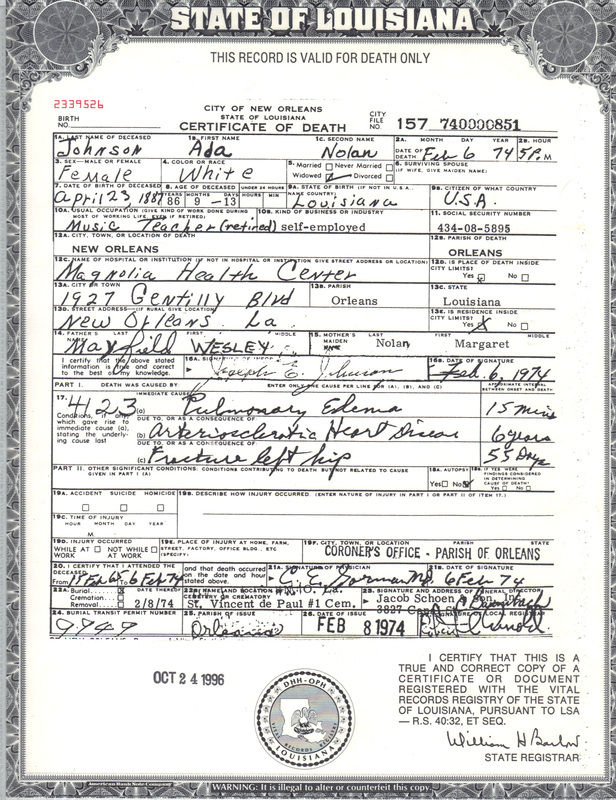 1900 Orleans Parish Census - Ada is 13 and living with her widowed mother "Maggie" Nolan, age 33, at 2462 Dauphine Street. The census indicates that Margaret had a total of 3 children, only one of whom was living. 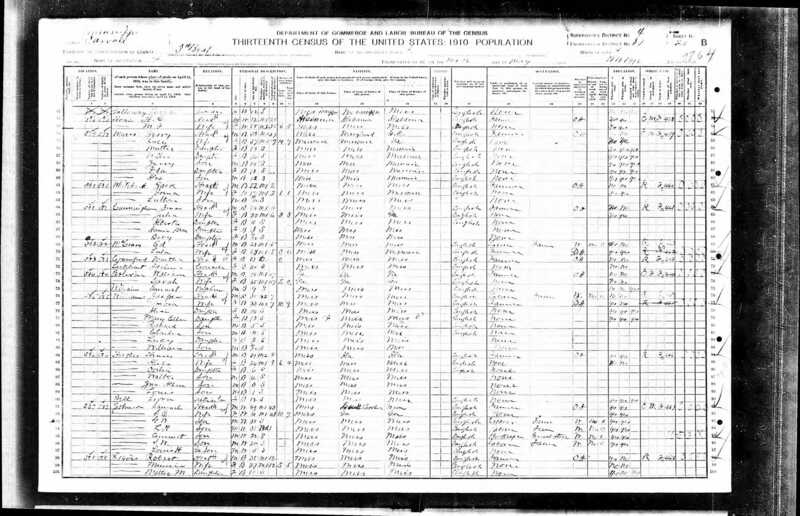 1910 Carroll County Census - Emmitt is 22 and living with his parents Samuel and Susan (listed as S.E.). 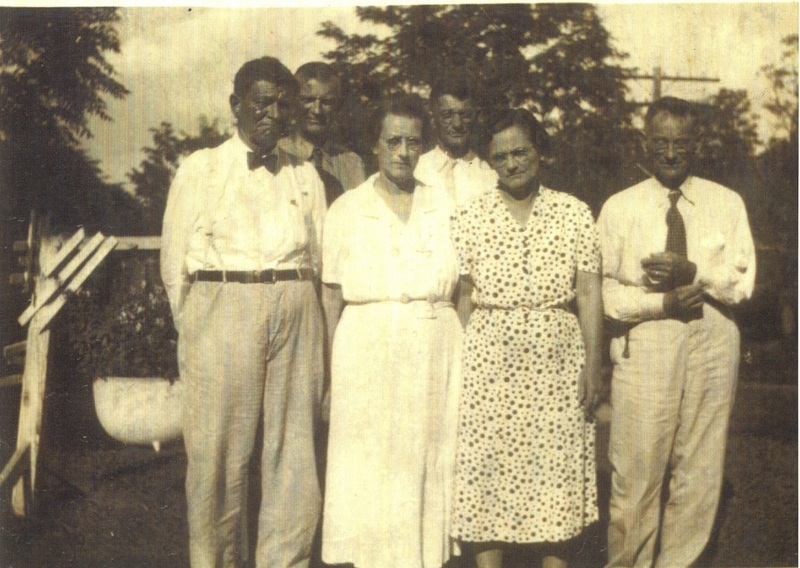 Also in the household are his siblings G.W. 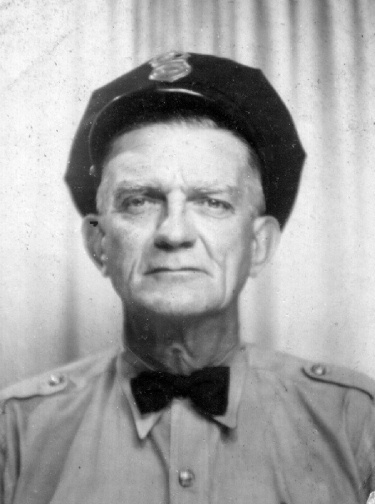 (George), L.H. 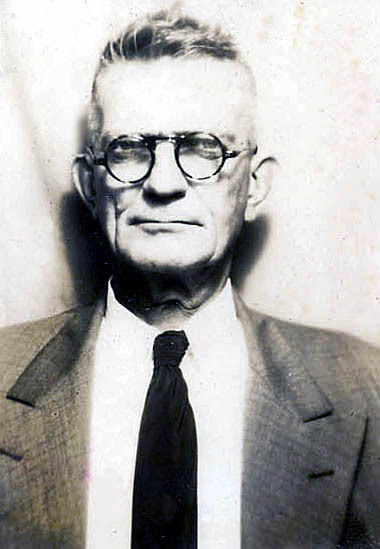 (Louis Henry), S.W. 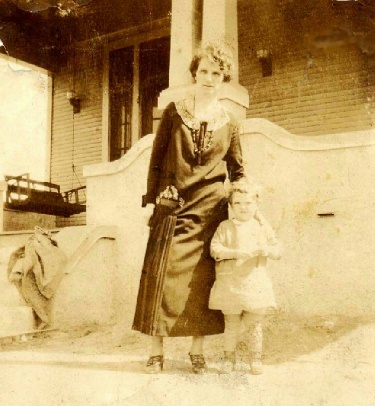 (Samuel Walter) and Louis H, who is the son of the now widowed Louis Henry. 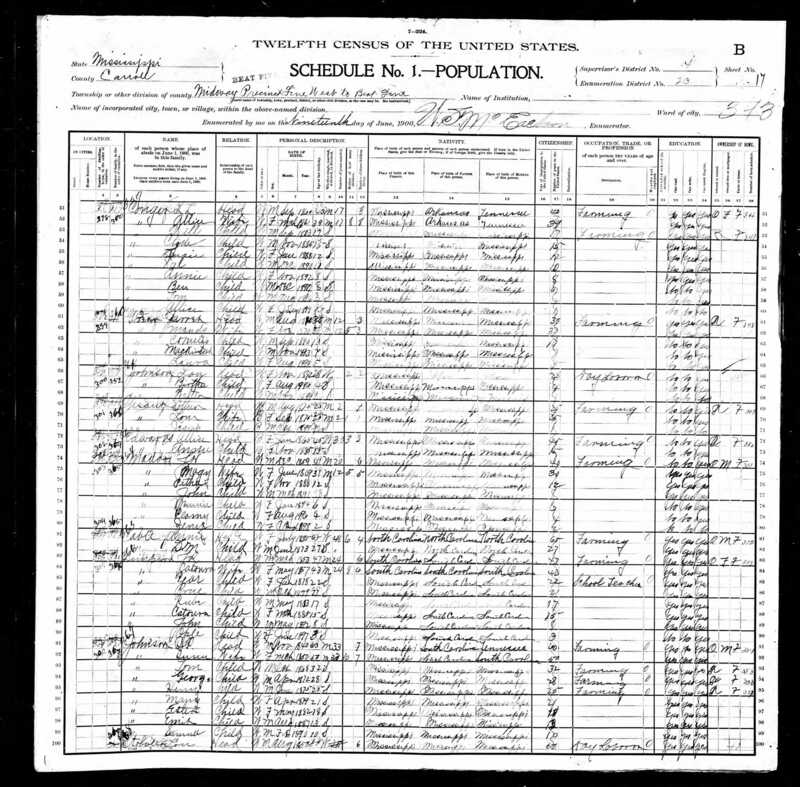 1910 Orleans Parish Census - 22 year old Ada Nolan is living with her mother Margaret, age 45, and her step-father Charles Engler, age 64, at 724 Spain St. Ada's occupation was listed as a piano teacher. 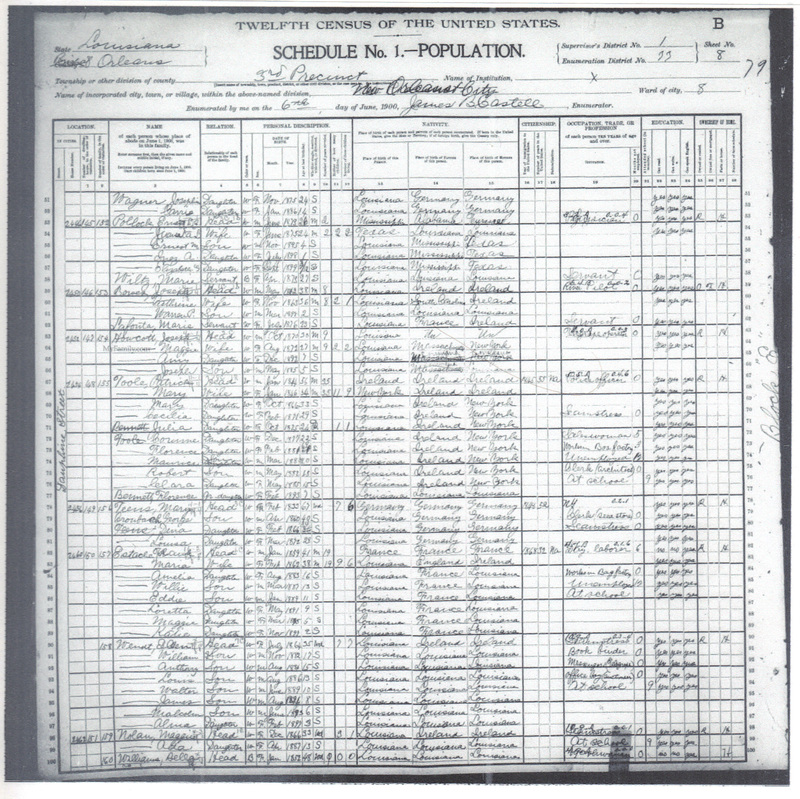 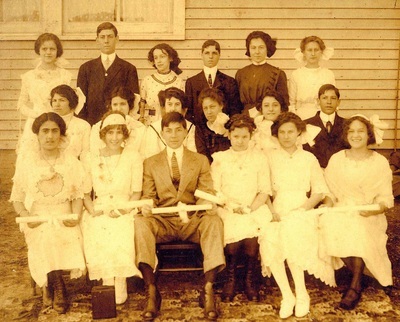 1920 Orleans Parish Census - Joseph and Ada, both 32, are living at 1231 Dorgenois Street with Ada's mother, Mrs. Charles Engler, and their children Esther, Charles, Elizabeth and Joseph E., Jr. Joseph Sr's occupation is listed as discount clerk at a bank. 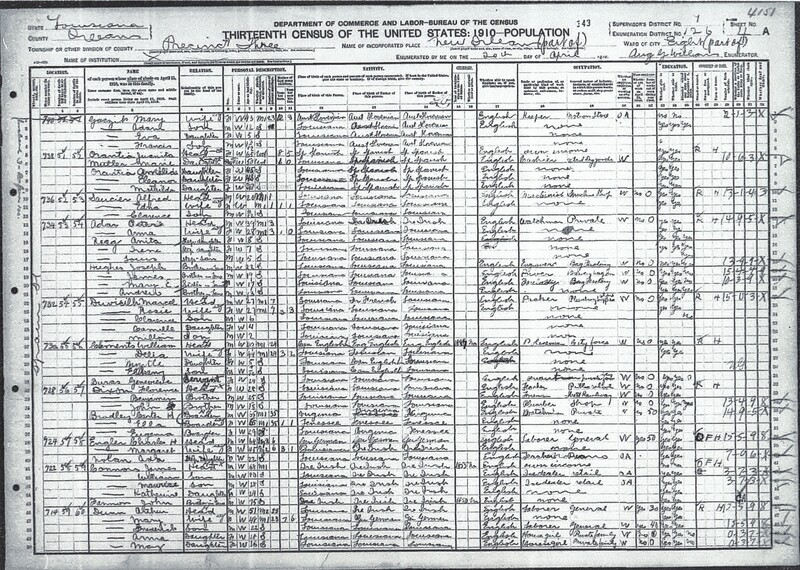 1930 Orleans Parish Census - Joseph and Ada, both 42, are living at 3618 Dumaine Street with Ada's mother, Margaret Engler, and their children Esther, Charles, Elizabeth, Joseph Jr., Robert and Margaret. 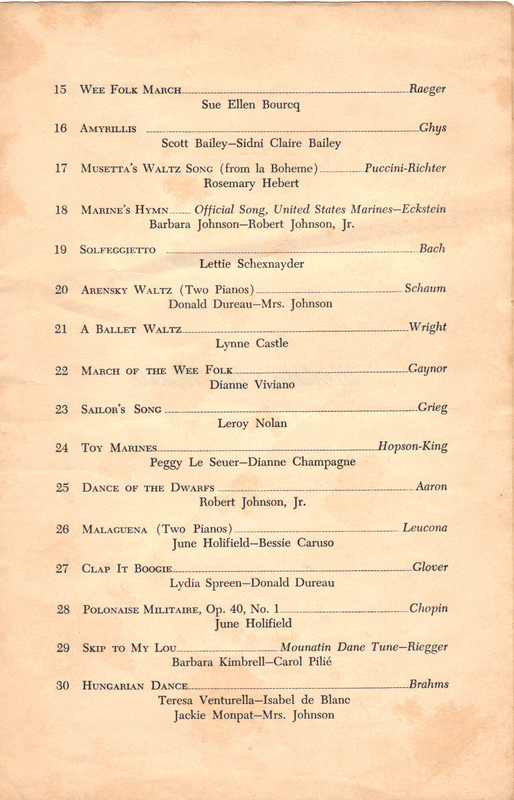 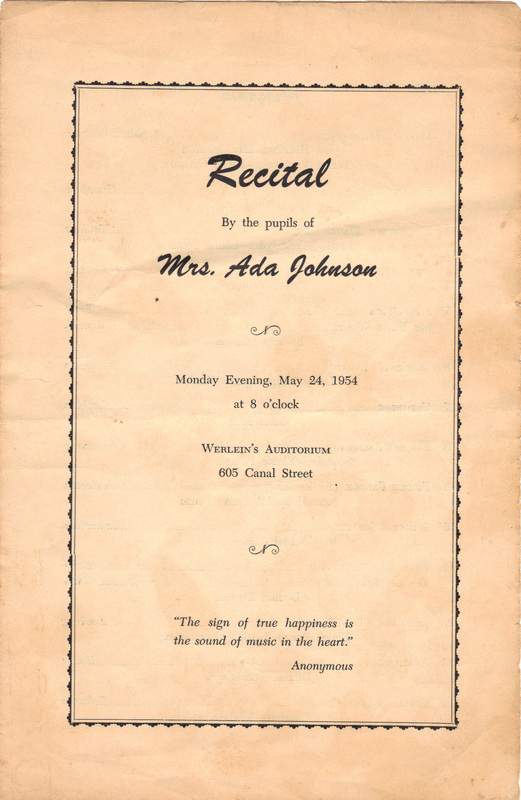 Joseph's occupation is now "chauffeur" and Ada is listed as a music teacher. 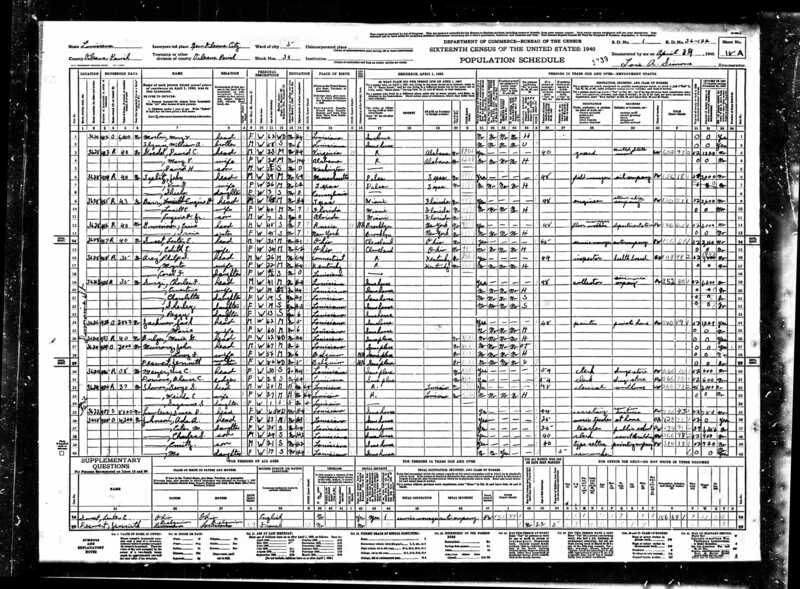 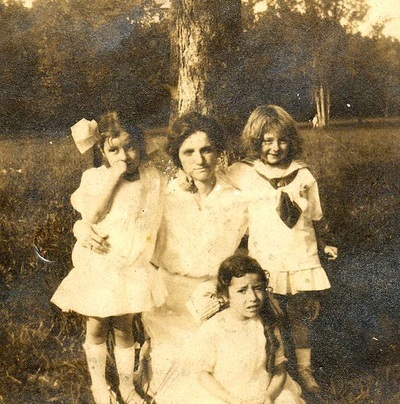 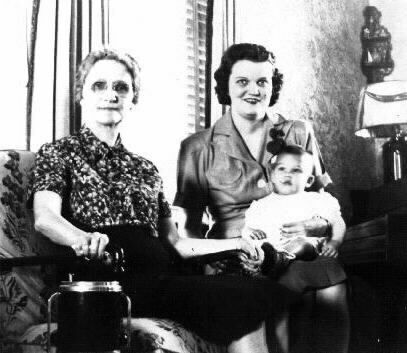 1940 Orleans Parish Census - Ada is the 52 year old head of household at 3618 Dumaine Street with her mother, Margaret Engler, and her children Esther, Charles, Emmitt and Margie. 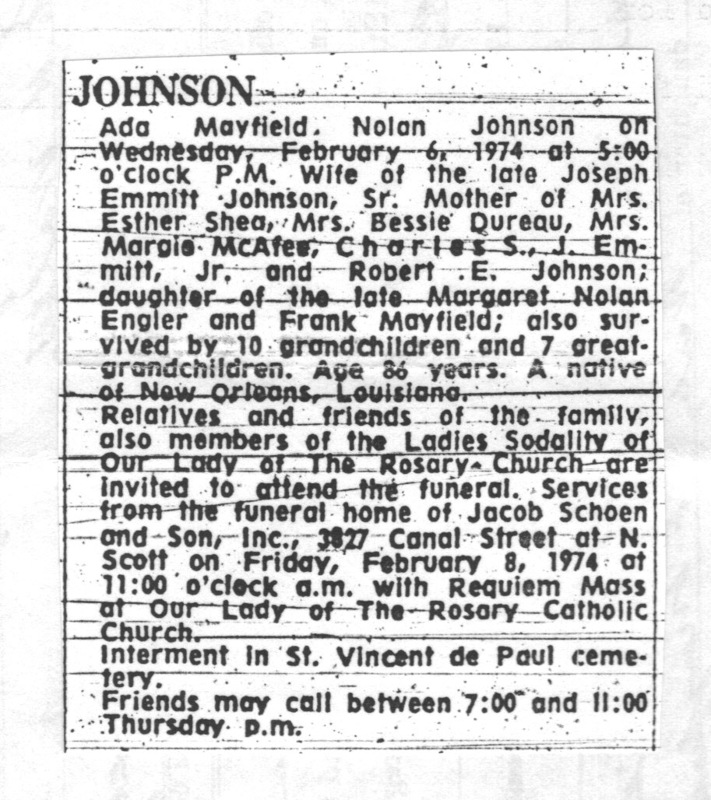 Ada is buried along with her mother Margaret Nolan Engler, Charles Engler (Margaret's second husband), Mary M Durkin (Charles' first wife) and Hezekiah S. Jordan (Charles' stepson). 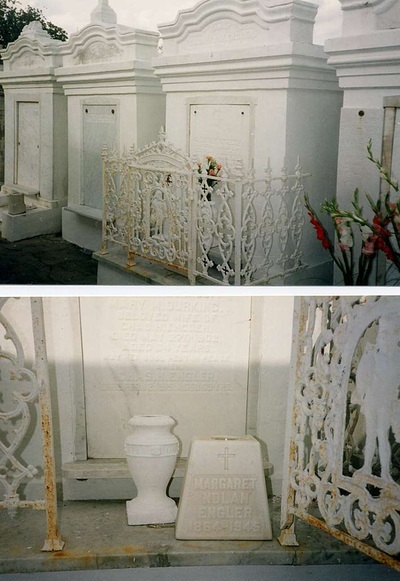 Through personal observation, Ada's name does not appear on any of the markers. 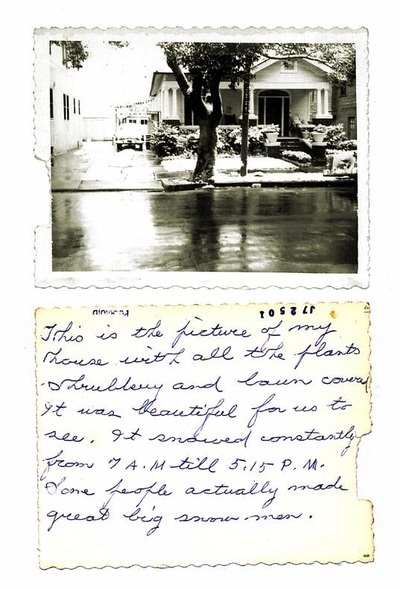 Ada's home at 3618 Dumaine Street in New Orleans with her handwritten comments. 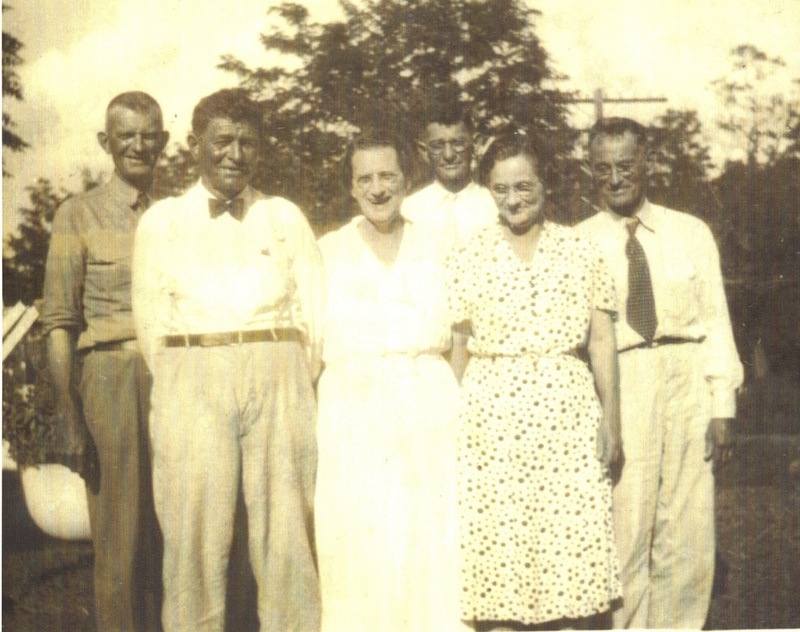 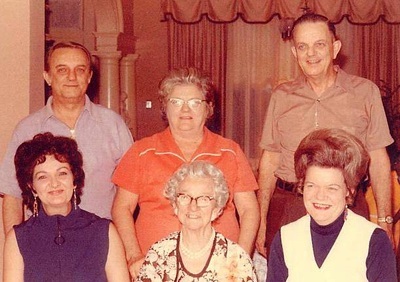 Ada with her children (l to r) Margie, Emmitt, Esther, Charlie and Bessie. 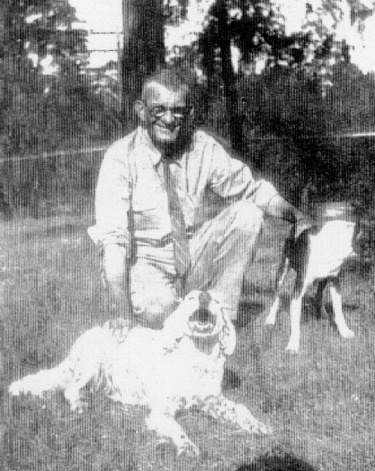 Taken at the home of George and Bessie Dureau. 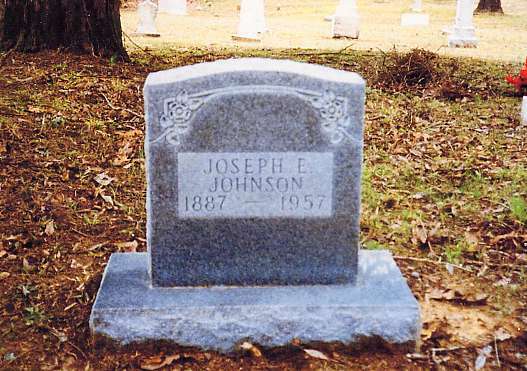 Joseph's grave at Old Salem Cemetery in Carroll County, Ms.
Ada's grave (unmarked) in St. Vincent de Paul Cemetery #1 in New Orleans, LA. Ada is buried along with her mother, Margaret, and her step-father Charles Engler.